There's been a lot of progress this week, but not so much in the finishes department. I designed my quilt for the American Made Brand Farm to Fabric Challenge due at the end of this month. I'm looking forward to getting to work on that and hope it comes together in time to submit it. 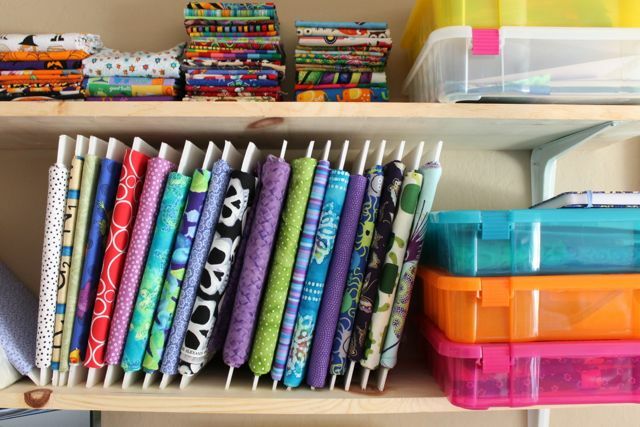 As I've quilted and sewn more over the last few months I have been inspired to get my stash under control. It's been a process, but I'm slowly chipping away at it. I made my own mini bolts using foam board ($1 each at the Dollar Tree which made four 9 1/2" by 13 1/2" bolts). Inspired by Jo and her Memory Cats, I've decided to make Memory houses. 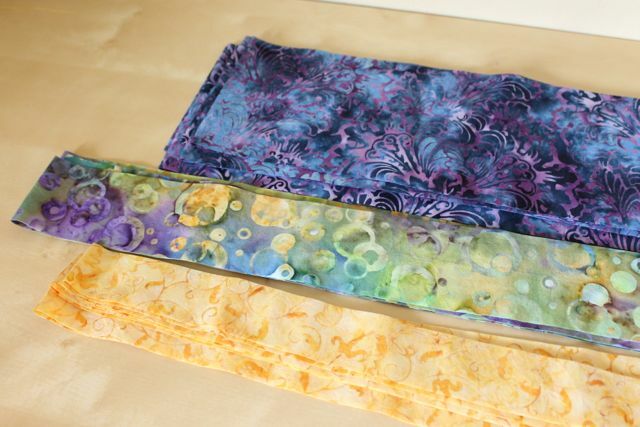 I'll use the scraps from each of the quilts I've made to make a block representing that quilt. My plan is to make improv houses. 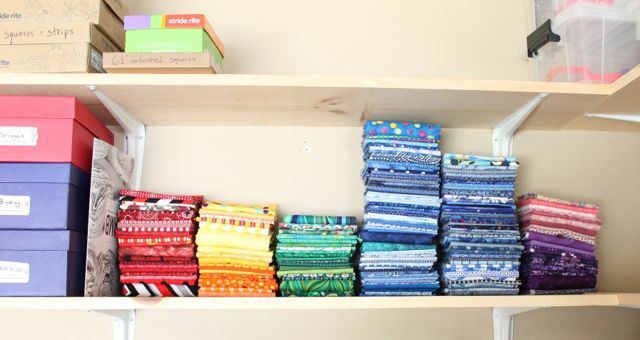 I am just looking for some fabric from a quilt I don't seem to have scraps from, and making a plan for how I'll represent my t-shirt quilt. 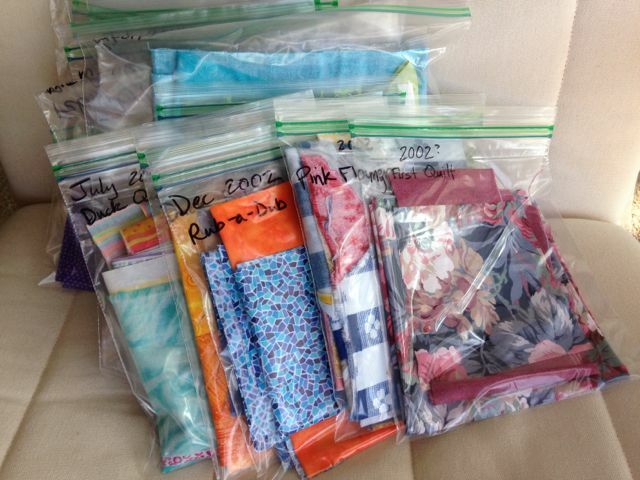 Other than that I think I have all my scraps bagged and labeled from my 13 completed quilts. I hope to have some more finishes soon to add to the pile. I'm making great progress on the quiet book pages for round two of our page swap. You can check out this previous post to see the results of round one. Some of that fabric I bought last week got cut into strips for the borders on the Giant Wonky Star quilt. And in the non-quilting arena, I'm trying to decide on paint colors for The Girl's room. 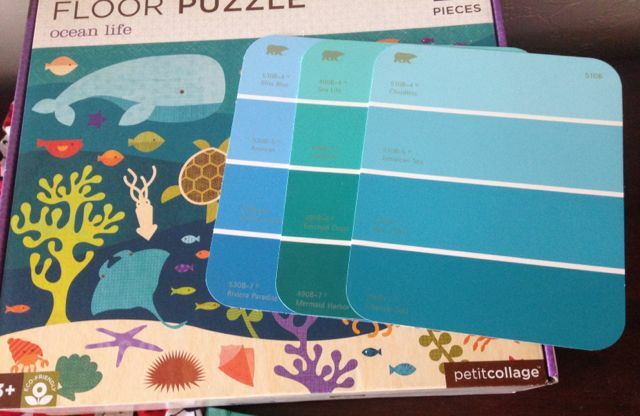 One wall will be painted like the background pattern found on this puzzle, with four shades of blue. I'm not sure any of these palettes are working for me, but the reminder of this pile sitting on her dresser will hopefully expedite the process. 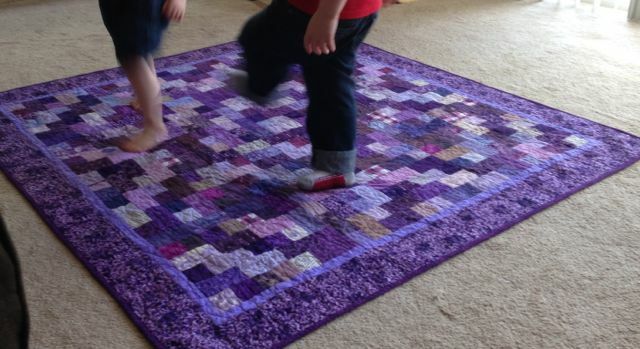 Oh, and I never get tired of seeing the kids enjoy the quilts. Here you can see it being used as a dance floor. 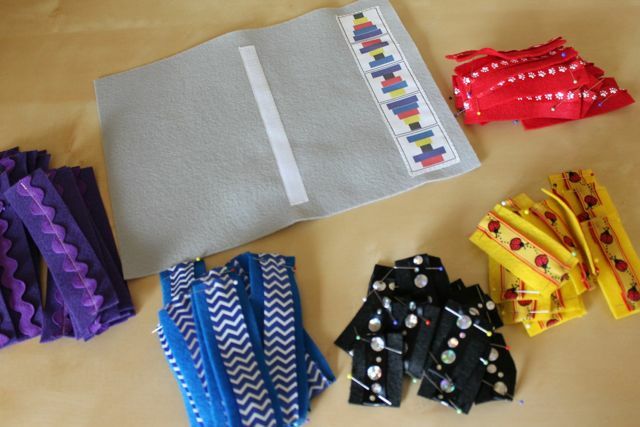 Posted in Quilting, Sewing on August 9, 2014 by sarah.